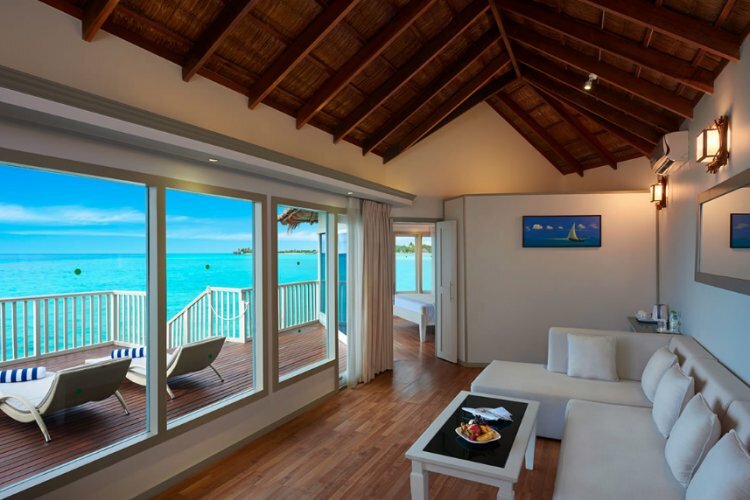 Cinnamon Hakuraa Huraa is set upon 6 acres of land and is surrounded by a wonderful blue lagoon. 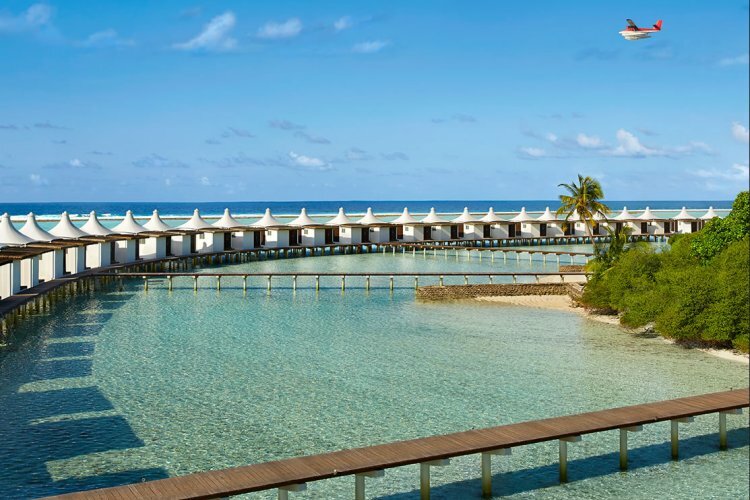 Meaning 'reef above water' Chaaya Lagoon Hakuraa Huraa is a charming all inclusive resort in Meemu Atoll, in the Maldives. Arrive on the beautiful island resort via seaplane whilst admiring the stunning views from above of Chaaya Lagoon Hakuraa Huraa. 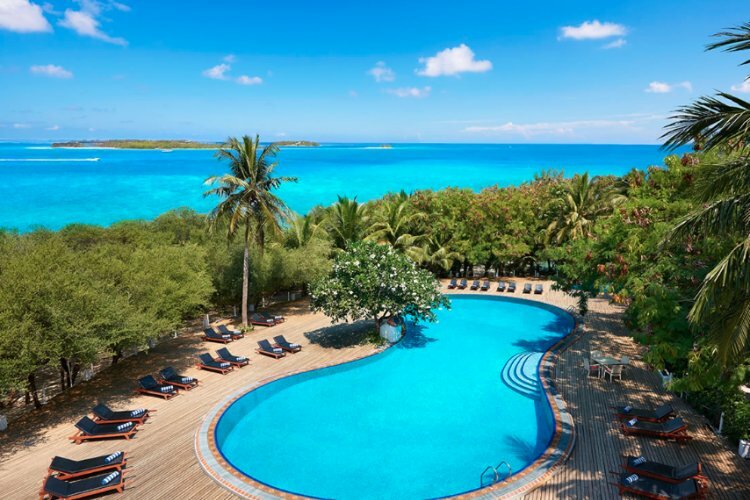 There are 80 rooms at the resort, guests can choose to stay in either a beach bungalow or a water bungalow. Beach bungalows are set amongst a backdrop of white sand and towering palm trees. 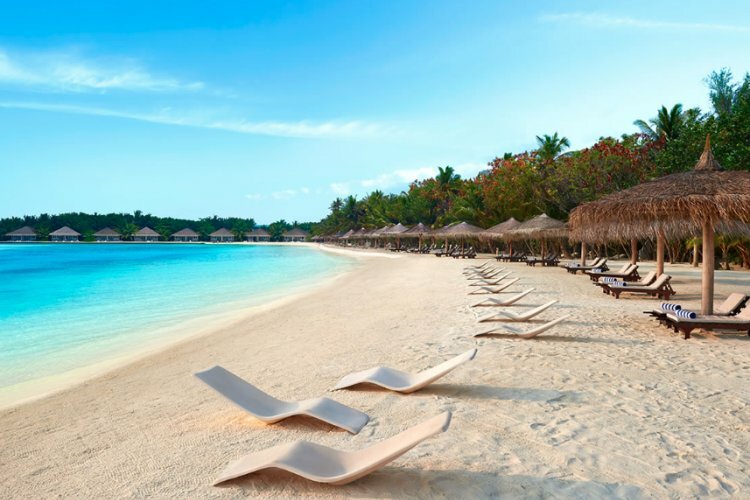 Guests can feel secluded in their beach bungalow and unwind in idyllic paradise on a hammock. 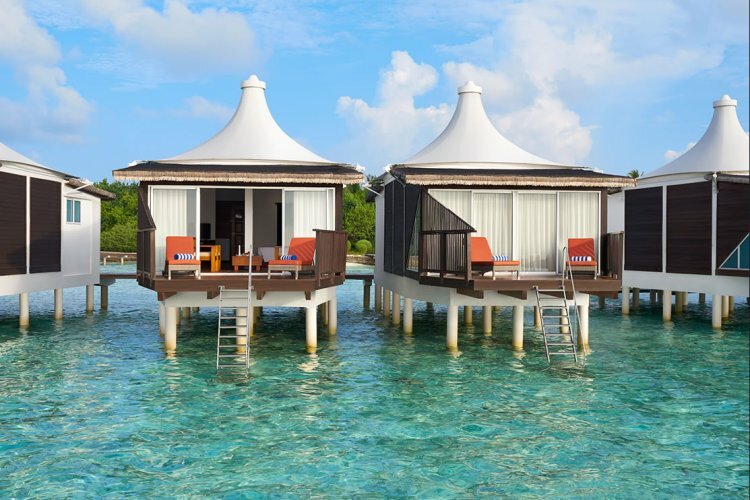 There are 70 water bungalows which have glass bottoms, allowing you to take full advantage of the aquatic surroundings and spot exciting marine life at your feet. Each water bungalow also has a private open air deck leading to unparalleled views of the Indian Ocean. Whilst staying at Cinnamon Hakuraa Huraait is the ideal opportunity to visit some of the Maldives best dive sites. The resort offers two daily boat dives to explore the dive sites of Meemu Atoll. Guests can snorkel underwater life with a variety of fish, coral reef and catch a possible sighting of a whale shark. Other excursions organised by the resort include island hopping and night fishing. The main restaurant Malaafaiy serves a daily buffet for breakfast, lunch and dinner based on a delightful mix of European and Asian cuisine. 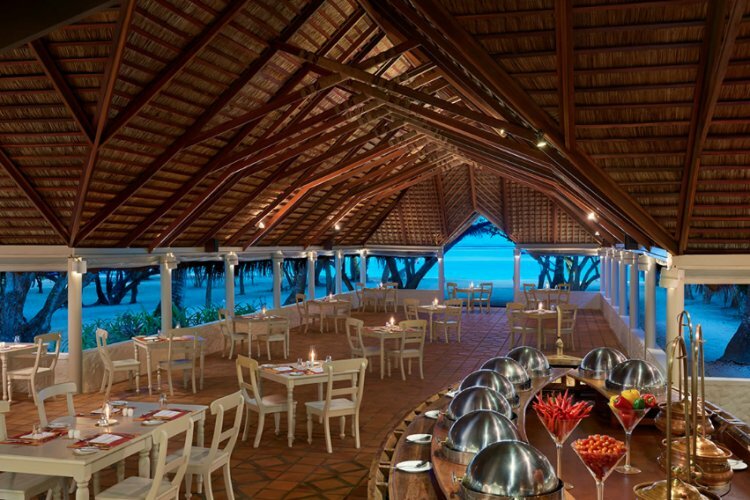 The restaurant also has regular themed nights such as a BBQ night and can organise romantic candle lit dinner on the beach. 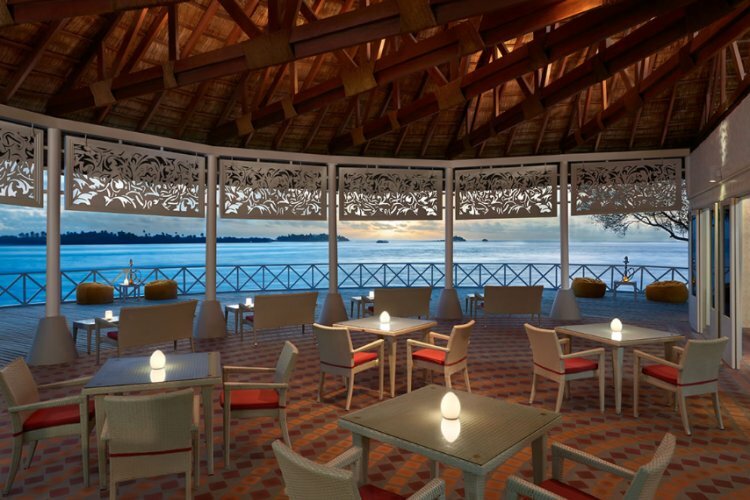 Nalha Falhu Lounge and Bar is a great place to relax in the evening with a range of snacks and cocktails to enjoy. Chavana Spa is a blissful retreat for guests to enjoy signature treatments. From massages, body wraps, facials, manicures and pedicures, the spa is a pleasant getaway to relax and refresh after a day of activities. Excellent location to unwind if your looking for a relaxing holiday. View from the sea plane sets the mood from the start.